This afternoon, my heart was so saddened to hear the news that actor Lee Thompson Young committed suicide at the age of 29. It is difficult for me to write this article, and it feels like dejavu, as I recall doing so only a month ago after the devastating news that 31 year old Cory Monteith also passed away. My soul is overwhelmed with the reoccurring truth that behind the smiles, facades, fame, money, and successes, there is so much sadness, brokenness, and a deep longing for more. Hollywood is not an easy place to be, and while I feel positive that God has called me to be here, I have experienced some rocky roads in my 4 and a half years of LA life. So many young people move out here with hopes and dreams, but when the money stops fulfilling you, the “friends” desert you, and you feel that you are no longer a human being with true worth, but simply a dollar sign, it can wither the soul. We were all uniquely designed to feel purpose and meaning, and even LaLaLand can not deliver that kind of deep joy. It breaks my heart that more and more talented, driven, incredible young people are giving up before they are even middle aged. I find myself a bit infuriated at times. Is no one encouraging them? Is no one praying for them? Is no one loving them for who they are? And then I remember…that’s why God has called me to be here. We can’t change Hollywood overnight. We can’t mend every broken heart with the snap of a finger. But if Hollywood is the place creating the messages that our world sees and lives by, we must make a change. The timing could not be better for us filming “Confessions of a Prodigal Son.” Hollywood is a magnet for prodigals…so many people running away and pushing away love in hopes that they will find meaning & purpose on the streets of Hollywood & Vine. Will you pray for the film this week as we continue shooting? This movie has the ability to reach hearts and captivate them. There are prodigals, broken people, and young talents all over the place that are this close to calling it quits. 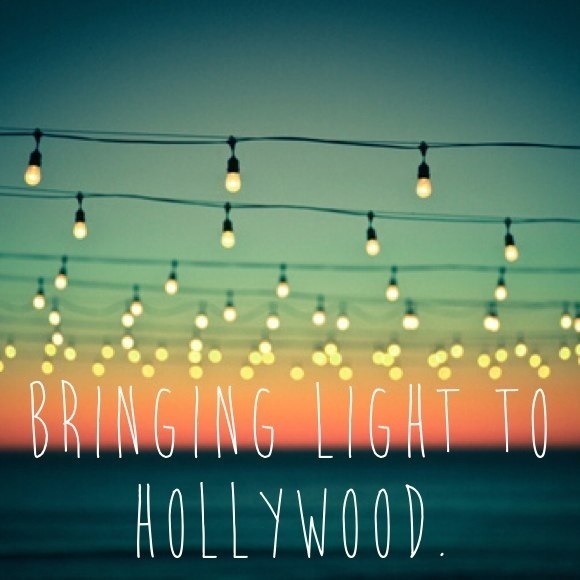 We must bring light to Hollywood and change messages from the inside out…starting in the LA film industry and reaching prodigals everywhere. It is time to finally bring light to Hollywood.